Pest control companies and specialists'﻿ secret solution to removing bed bugs has finally been EXPOSED. Does Bed Bug Bully Work? 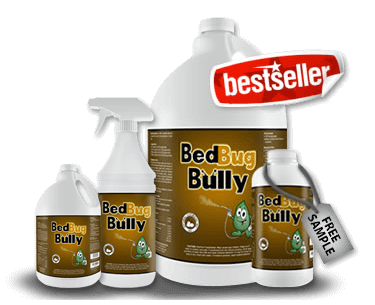 R﻿ead our ﻿﻿﻿﻿review of bed bug bully﻿﻿﻿﻿﻿﻿. 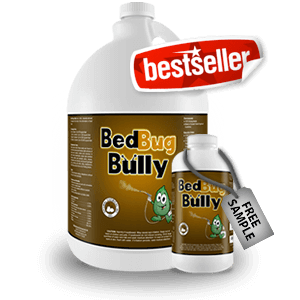 Bed Bug Bully is the most effective bed bug removal treatment on the market today. It is the most highly reviewed all-natural solution available, with a 100% Food, Farm, & Wildlife Safe Rating. The proprietary formula takes advantage of the natural properties of chemicals evolved by plants to target insect pests. If you have a bed bug infestation in your home, give it a try today; for maximum effect, use as directed, and say goodbye to bed bugs for good! Bed Bug Bully has been endorsed as safe by the EPA, and its ingredients have been acknowledged as being some of the most effective substances available for the elimination of bed bugs. These studies have been conducted by Rutgers and Harvard, and involved populations of recent, well-adapted bed bug strains. The Wall Street Journal has also cited it as being one of the more effective tools available for use against these unwanted pests, now that outdated commercial pesticides are proving to be increasingly unreliable against bed bugs in particular. 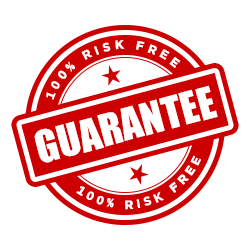 The development of this all natural bed bug product by modern pest control professionals was originally targeted at commercial businesses, with an eye for the hospitality and restaurant industries. They wanted something that was safe and effective to use, which wouldn’t adversely impact any of the wide range of individuals using such facilities, but would be effective at killing bed bugs. It had to be affordable, easy to use, and simple to apply, and it needed to take effect quickly. Its subsequent availability on the broader commercial market has met with enormous success. Hundreds of positive reviews have been received, praising in equal parts the effectiveness of the product and its complete non-toxicity. 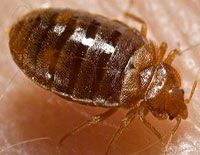 People who are treating their homes for bed bugs can now remain in them while the treatment is ongoing, and will not suffer adverse long-term reactions, which are comparatively common with industrial chemical pesticides. What's Inside Bed Bug Bully? The active ingredients are natural plant oils, which are commonly used in a variety of homemade pest control products today, as well as in organic fragrances, food supplies, and medicine. They are specifically known to adversely affect bed bugs, without being harmful or noxious to humans. The inactive ingredients fill a dual purpose. They serve as binders to keep the formula from separating, but they also work to enhance the qualities of the essential oils. The inactive ingredients are safe and all-natural, being commonly used in organic foods and homeopathic medicines. Product meets requirements of exemption under Appendix APR Notice 200-6, Active Ingredients Which May Be in Minimum Risk Pesticide Products Exempted under section 25(b) of FIFRA. Hacking the neurotransmitters of bed bugs involves offsetting their octopamine which activates a "fight" or "flight" response. This process acts​ like an adrenaline and blocks their receptors. Thus, they will stop eating and breeding, which will eventually kill them. 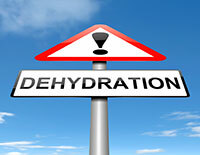 It causes dehydration plague among bed bugs, which spreads and stops the dangerous reproduction cycle. When close to death, bed bugs will go into attack mode and feed on anything, including each other and themselves. The solution leaves a 30 Day Residual, essentially creating a barrier around the treated area. Because of the way it works, Bed Bug Bully kills bed bugs, destroys infestations, and prevents any future outbreaks. And it's done 100% all natural. How to Use Bed Bug Bully? Just aim, and spray! It could not be any easier to use. The only trick is in doing so effectively. Be sure to use it all over your house. While spraying bedlinens and mattresses, don’t forget sofas, chairs, and laundry linens as well. Bed bugs migrate, and are reluctant to leave a readily food supply; their ability to go for long periods of time without feeding makes it possible for them to wait patiently after fleeing a treated location. They are known to travel in luggage, so spray your belongings after returning home from a vacation or a business trip. While treating your home for bed bugs, remember that these uninvited guests are confined to crawling. They can’t fly or jump. Routinely spray around door frames and windows, and along moldings, to build up an effective barrier against bed bugs over time. 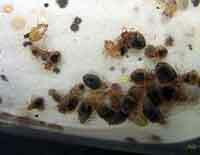 Female bed bugs can lay more than 500 eggs each over the course of a lifetime. A bed bug outside of laboratory conditions lives for an average of one year. During that time, a female bed bug will lay up to 500 eggs. This means that a handful of bugs, if they aren’t caught quickly, can become a bed bug colony in relatively short order. Bed bugs make use of pheromones to attract more bed bugs. Male bed bugs employ two types of pheromone: an agent which attracts female bed bugs, sometimes from outside of the colony, and an agent which can temporarily disable other males. The latter has been observed to attract challengers, as with many wild animals. Bed bugs can live for months without feeding. Under laboratory conditions, bed bugs live for much longer, and have been observed to survive without feeding for up to 11 months. In the wild, this is usually shortened, but wild bed bugs have been known to survive for 3-6 months without feeding. Bed bugs mimic human sleep patterns. One of the pest’s earliest adaptations was to match our sleep patterns; though they developed from a species that preys on bats, today’s bed bugs are usually active at night. Humans are unusually flexible in their sleeping pattern, however, and isolated bed bug populations have been known to adapt; they may also become active during the day if they are particularly hungry. Bed bugs cause insomnia. A common misunderstanding about bed bugs is that they only “cause insomnia” in the sense that they actively disturb sleeping patterns, but the truth is more complicated. Insomnia frequently has psychological components, and has been known to persist after dealing with a bed bug infestation successfully. It worked very quickly (within seconds in fact). And the level of customer service was amazing. Feel free to share my testimonial with your customers. I love that it's pesticide free. It gives me great peace of mind and wellness that Bed Bug Bully is non-toxic and chemical-free. I clean my home with only all natural products, and I'm glad my "pesticide" is also all-natural. I noticed my son was itching heavily, I lifted his shirt and my heart stopped when I saw that his entire back was full of red bumps. I immediately took action. You guys have saved my son. Thank you. Get Rid of Your Infestation Now!